Family Web Log, Again. : "Women of Power" Broom Auction: Sweep, Ladies, Sweep! "Women of Power" Broom Auction: Sweep, Ladies, Sweep! It's for real, i'm not making it up! 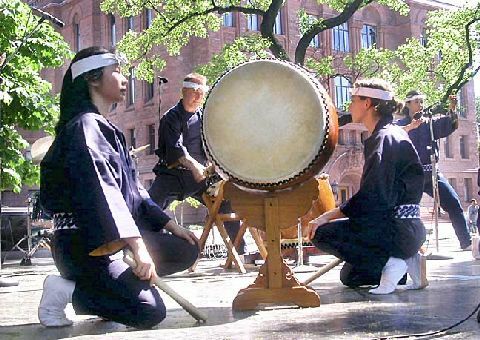 I noticed Isshin Daiko, which were the party responsible for said perking (they are the Taiko drummers who were at the veggie food fair last year) are doing a free performance at a St Lawrence Market event on Thursday, April 7. And there also will be the "Women of Power" Broom Auction. Hehe. Funny. Though I'm not really in the market myself... alas.